This book shows you how to design and teach strategies for learning, from memorising facts to magical maths, effective spelling, reading and creative writing and much more. To survive and thrive in this world, it’s true to say that learning to learn is an essential skill set and everyone can become a more effective learner and teach others to become great learners along the way. It is designed to both inspire and provide a step-by-step approach to mastering the art and science of learning. By the end of this book you will have the secrets of how to captivate your students, structure learning to adapt to all learning preferences, and create exquisite learning effortlessly and easily. Our mission is to share with you an exciting set of tools that can transform the impact that you can make in the classroom. This book shows you how to design and teach for learning, from memorising facts to magical mathematics, effective spelling, reading, creative writing, and so much more. 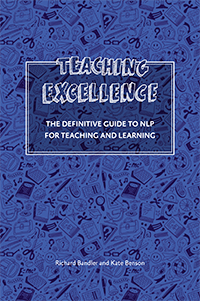 There are a limited number of First Edition copies of the Teaching Excellence Hard Back Book available at £30 each (plus shipping). There is a £4 discount for teachers. Maximum online order 2 books. Please contact us for larger quantity shipping charges and/or (if applicable) teacher discount code.